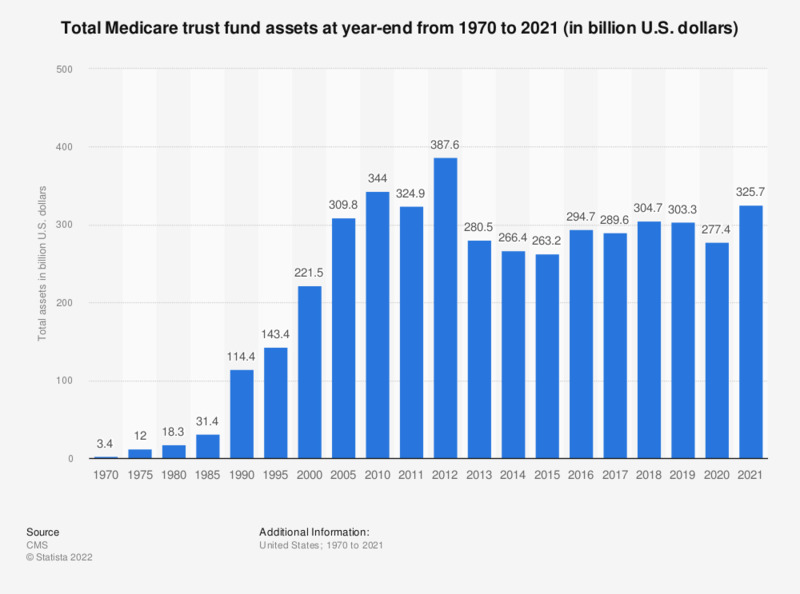 This statistic depicts Medicare's total assets at year-end from 1970 to 2017. At year-end 1970, Medicare total assets stood at some 2.7 billion U.S. dollars. Forty years later, this figure stood at approximately 351 billion U.S. dollars.